By Dave Vieser. 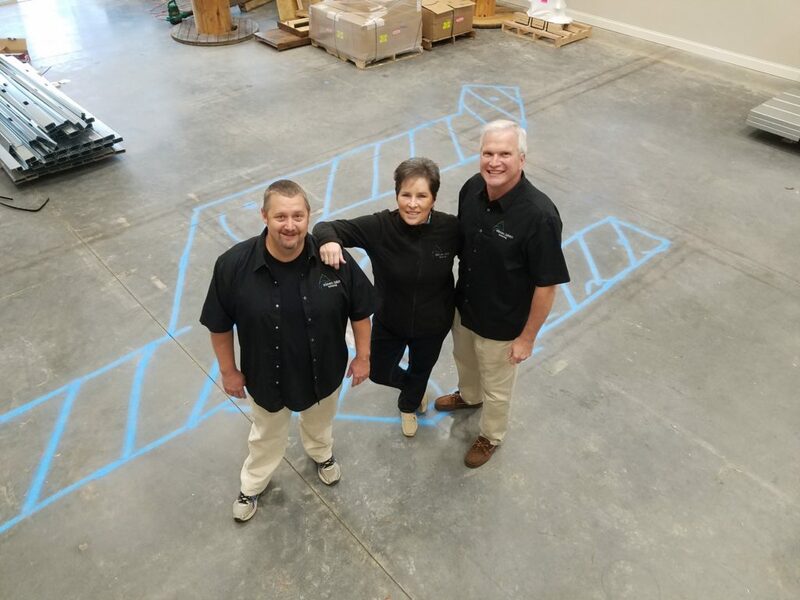 Location, location, location… Long recognized as the most important factors in determining the desirability of a home, two enterprising Lake Norman residents have expanded that phrase so it applies to beer. The neighbors behind Eleven Lakes Brewery in the Hyde Park flex space on Bailey Road expect to open up next month. The name comes from the fact that there are 11 major lakes in the Catawba River Basin. “We wanted to have a name that was reflective of our community,” Hutchinson said. It’s taken a while for Ray Hutchinson and business partner, Jack Lippy, both from Huntersville, to get this far. Hutchinson and Lippy latched on to that theory, but their initial challenge was finding the right location. “The process begins with finding a location which is going to work economically for us while also being attractive to our customers,” Hutchinson said. At first, they explored local retail areas, such as Antiquity in Cornelius, which was “way too expensive for us.” The beer duo went to Hyde Park, a storage/office type facility on Bailey Road near the Cornelius/Huntersville border. “The rent was more palatable and it’s an unfinished ‘vanilla’ part of the building, leaving us with the ability to put up walls and decorate as we needed.” Eleven Lakes will encompass more than 2,700 square feet in Hyde Park, including a tap room which can handle up to 49 patrons. The challenge for Hutchinson, an art teacher at Lincoln Charter School, and Lippy, a consultant for KMPG in Charlotte, will be to find the time for their favorite hobby at Eleven Lakes. However, they’re not worried. “We’ve had great cooperation with the neighboring breweries and we believe there’s plenty of market room for expansion. I see no reason why we can’t all succeed in the years ahead,” Hutchinson said.